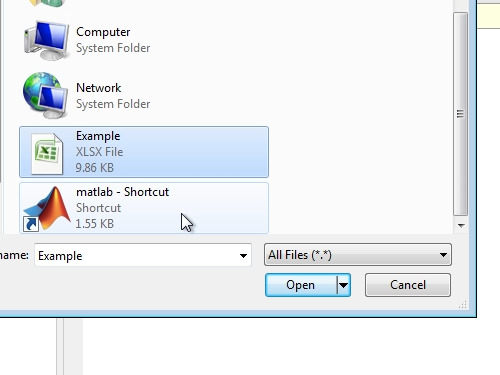 In this video tutorial we will show you how to load an excel file into Matlab. In order to load an excel file into Matlab, open Matlab application. Click on “Open”. Select the folder where the excel file is located. Choose to show “All files”. Select the excel file and click “Open”. In the newly opened window you can select the part of the document and import it by pressing on “Import Selection”. 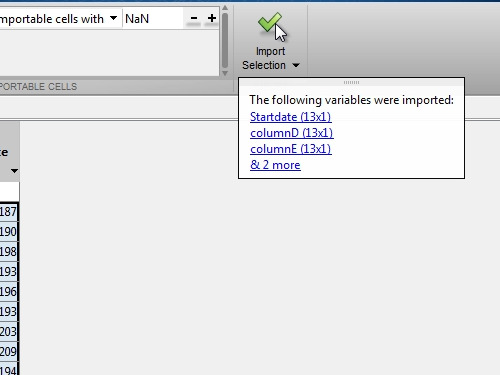 Now you can use your data from the excel document in Matlab.